Why Is Medical Marijuana Healthy? 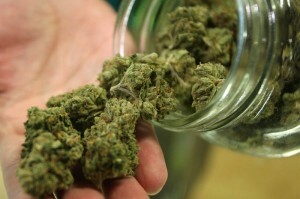 MMJ Doctors Colorado Springs > Blog > Medical Alternatives MMJ Blog > Why Is Medical Marijuana Healthy? Once thought to be a demon drug, marijuana is now almost thought of as a miracle cure for many health issues. Medical marijuana is a plant-based medicine from the Cannabis sativa or Cannabis indica species with three major active compounds: THC, CBD, and CBN. With groups like the American Legion writing letters to President Trump advocating removing cannabis from the list of Schedule I controlled substances so that scientific medical research can be done that might support the use of marijuana in a medical environment, the tide of thought is turning, and medical marijuana is gaining acceptance in the minds of many people across America. With 68% of more than 60 peer-reviewed research studies examining the benefits of medical marijuana finding benefits in using medical marijuana to treat pain and illness, there is solid scientific evidence of the health benefits of medical marijuana. Most research has been conducted on the non-psychoactive compound CBD. Many believe there is also enough compelling anecdotal evidence to support the health benefits of medical marijuana in treating adults with medical issues such as traumatic brain injuries (TBI), PTSD, cancer, and chronic pain, anxiety, depression, arthritis, Parkinson’s Disease, Alzheimer’s Disease, multiple sclerosis, eating disorders, nausea, muscle spasms, insomnia, and inflammatory bowel diseases like Crohn’s, to name just a few. Other health benefits include improved immune function, neuroplasticity, regulating mood and emotion, increased vascular health and improved digestive function. Research is limited, but the most promising areas of research appear to be in the use of CBD for neuroprotection. Because marijuana is still classified as a Schedule I substance by the Federal Drug Administration (FDA), quantifiable, scientific research is difficult to conduct. There are over 80 compounds in marijuana, with two of them receiving the most attention; THC and CBD. CBD is highly sought after for its pain relieving properties and has been studied for its ability to relieve symptoms of epilepsy in children and adults. Seniors enjoy relief from chronic arthritis pain with topical application of lotions and creams containing CBD. Many veterans report relief of their physical and emotional issues including depression, anxiety, and suicidal thoughts with continued use of medical marijuana. Parents of children who suffer from autism have found relief through the use of medical marijuana, and cancer patients categorically state that medical marijuana offers relief from the side effects of chemotherapy and radiation. Pet owners have also turned to cannabis products to provide healthy, effective pain relief for their family pets and help their bodies perform at the optimum level possible. For recommendations on which medical marijuana products may be best for your situation, contact Medical Alternatives Clinic today at (719) 246-0393 in Colorado Springs, or email us at hello@medicalalternativesclinics.com with your questions, or to request an appointment. We are here to assist you in any way we can and will provide you with a copy of any paperwork necessary for your records.